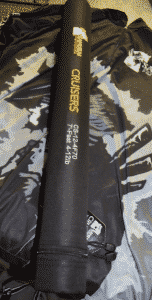 Samurai Cruiser Travel Rod is a MUST!! 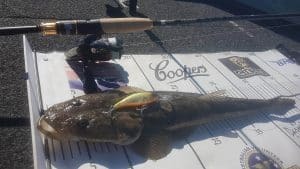 Samurai fishing rods are legendary, but as most people know having a travel rod which you are able to take anywhere, anytime is an amazing addition to every Anglers arsenal. 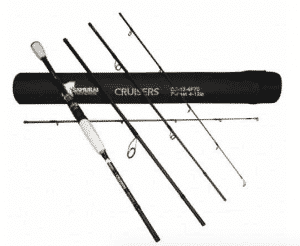 Samurai Cruiser travel rods are a 4 piece rod fitted with all Fuji components. These amazing rods come in a hard case and also come supplied with a spare tip. The spare tip is vital if you’re in the middle of nowhere with only the one rod in hand. The Cruiser is made for the Angler that loves to trek into the mountains in search of Jungle Perch up north, and the keen Anglers in search of Murray Cod in the skinny water down south. This rod is one of my favourites to take when looking for Flatty on the shallow flats an I have to trek through the mangroves to get to some untouched ground. These rods are also great for those Anglers that like to take a few extra rods on their boat so they’re ready for anything and everything. They come apart very easily and can be put together in seconds; you wouldn’t know they are a four piece rod from the way they bend. These Rods come in all sizes for all Anglers, from the light 2-4lb estuary rod for chasing bream and Flatty on the flats to the heavier 16-25lb rod capable of throwing slugs for the larger pelagics such as Tuna and Mackerel. This is a must for any Angler; from those that love getting out and about for inshore fishing to the more adventurous Anglers who enjoy trekking kilometres through the jungle looking for the fish of a life time. I’m Brad Marshall and I’m proudly an ambassador for Frogleys Offshore.